Local headlines and theatre collide when Toronto’s Tarragon Theatre production of Cottagers and Indians by Drew Hayden Taylor tours the Kawarthas in October and November. In Peterborough, Cottagers and Indians will be performed at 2 p.m. on November 27th at Showplace Performance Centre, and at 12:30 p.m. and 7 p.m. on November 28th and 29th at the Market Hall. Tickets are $30 ($20 students and underwaged, $10 high school students) and can be purchased at the venues’ box offices. Details are available below. There will also be a free public talk at the Market Hall at 7:30 p.m. on November 26th featuring featuring playwright Drew Hayden Taylor, wild rice harvester James Whetung, and elder and treaty expert Douglas Williams. The Kawarthas is the first stop on a multi-city tour across Ontario, with stops in Curve Lake on October 22nd and Bobcaygeon from October 23rd to 25th, before arriving in Peterborough on November 27th. Making its debut in February 2018, Cottagers and Indians was inspired by the decades-old battle between Curve Lake First Nation’s James Whetung and cottagers on Pigeon Lake about Whetung’s production of wild rice (called “manomin” in the language of the Anishinaabe people, meaning “gift from the creator”). Cottagers and Indians was written by humourist, journalist, and award-winning playwright Drew Hayden Taylor, who himself originates from Curve Lake, based on the continuing conflict that has made national headlines. Drew goes on to explain the origin of the conflict that led to Cottagers and Indians. “For the past number of years, James Whetung has been reintroducing wild rice, or manomin as we call it, in many of the Kawartha Lakes for a number of reasons. Part of it has to do with the fact that diabetes is a big problem in the native community, and he sees the aboriginal reliance on junk food as being a big part of that. Wild rice is a big part of the reintroduction of traditional foods into the native diet. 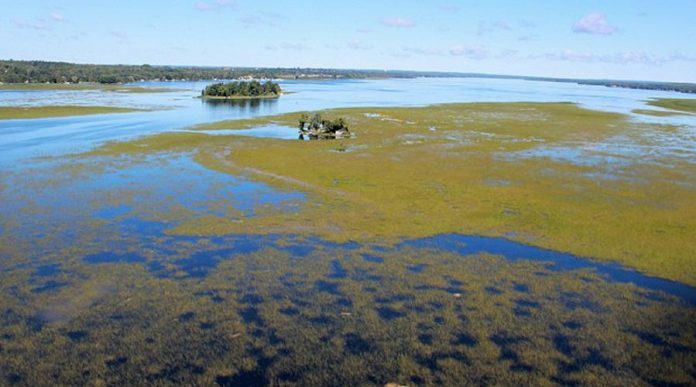 “The problem is, when wild rice grows, it grows about thirty to eighty centimetres above the water line and, because these are shallow lakes, it tends to make the lakes look marshy. The plants tend to inhibit boating, fishing, and swimming, and bring down the property values of cottages in the area. 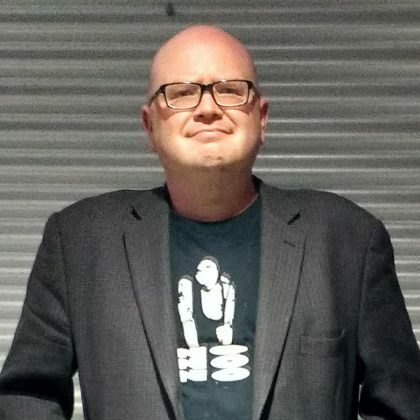 Knowing James through his own connection to Curve Lake, Drew had the idea for Cottagers and Indians after he received an email from Tarragon Theatre’s artistic director Richard Rose. “Richard sent me an article he had read about the wild rice controversy and said there’s a story in this,” Drew recalls. “I read the article and realized I knew all about it. I grew up in the area, and I know James, and I had written an article about this subject for NOW Magazine. 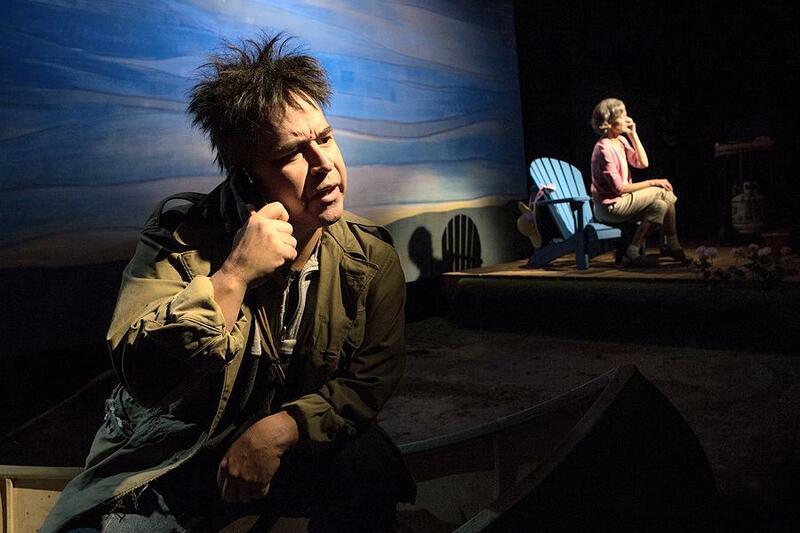 Cottagers and Indians is a comedic two-hander that looks at both sides of the issue. 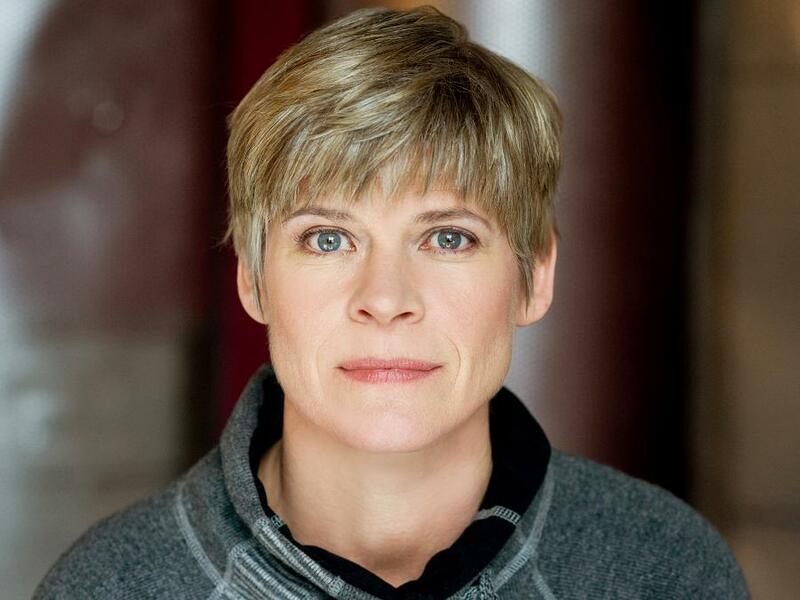 The original Toronto production was directed by Patti Shaughnessy of Curve Lake First Nation, with the remount directed by Tarragon Theatre’s Melody Johnson. The Indigenous side is represented by actor Herbie Barnes, who starred in the original Toronto production, and the settler side is represented by Brooke Johnson (taking on the role performed by Tracey Hoyt in the original production). Drew presents Cottagers and Indians as a balanced exploration of both sides of the battle, and tries to give equal respect to opposing opinions. However, he admits that he has his own bias on the issue. “I know James Whetung very well and I went to school with his brothers and sisters,” Drew says. “It’s no secret that I’m more on James’ side than the cottagers’ side. But the importance of good drama is presenting both sides and allowing the audience to make their own decision. Drew also presents the different relationships and philosophies the two characters have with the land itself. It is important to note that while the wild rice controversy itself has been tense, Cottagers and Indians is filled with humour. 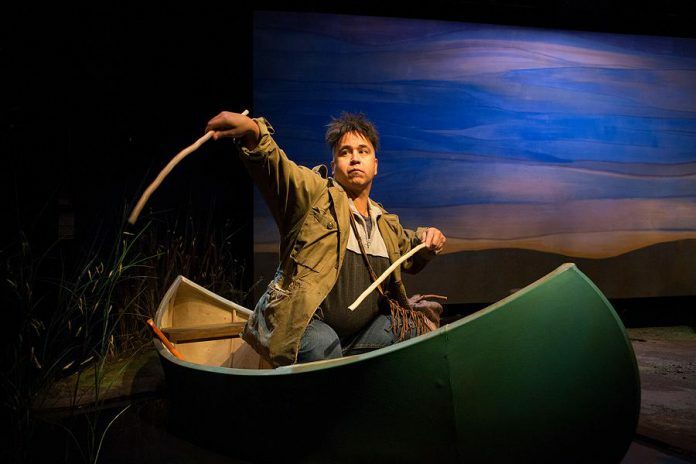 During its initial five-week run in Toronto, Cottagers and Indians was a huge success for Tarragon Theatre, receiving positive reviews and seeing a 95 per cent box office rate. Audience members began requesting James Whetung’s wild rice, and packages of the rice were brought into the theatre and quickly sold out during the final three weeks of the show. Due to its success and continued interest in the show, Cottagers and Indians has become the first show ever to be toured by the Tarragon. It will be performed in 14 different cities across Ontario before going back to the Tarragon for another four-week run in February 2019. October’s run of Cottagers and Indians is presented by the Truth and Reconciliation Committee – Bobcaygeon, with the opening performance of the tour at the Community Centre at Curve Lake First Nation on October 22nd followed by three performances at Lakeview Arts Barn in Bobcaygeon from October 23rd to 25th. The committee has also organized two daytime performances on October 24th and 24th for local high school students, who will be learn about wild rice at the Gamiing Nature Centre with presentations by Drew and James Whetung before seeing the show at the Lakeview Arts Barn. Having any production by the esteemed Tarragon Theatre in our area is an exciting opportunity, but to cover an issue that hits so close to home makes this an extra important show for our area. Cottagers and Indians opens on Monday, October 22nd at the Curve Lake Community Centre (20 Whetung St. E., Curve Lake) with the show starting at 7 p.m. The performance is free for members of Curve Lake First Nation and guests. The play will then be performed at Bobcaygeon’s Lakeview Arts Barn (2300 Pigeon Lake Rd., Bobcaygeon) from Tuesday, October 23rd to Thursday, October 25th at 8 p.m. Tickets are $25+HST and are available at the Globus Theatre box office by calling 705-738-2037 or 1-800-304-7897 (a dinner theatre package is available for $61.50+HST). Drew will be attending some of the performances to share his insights with the audience. Editor’s note: as of October 22nd, all three Bobcaygeon performances are now sold out. After touring the GTA and Kingston, Cottagers and Indians then returns to the Kawarthas with five performances on three dates in Peterborough, presented by Public Energy. General admission tickets for all performances are $30 for adults, $14 for college or university students and the underwaged, and $10 for high school students (must show ID). A matinee performance at 2 p.m. on Tuesday, November 27th takes place at Showplace Performance Centre (290 George St. N., Peterborough). Tickets are available in person at the box office, by phone at 705-742-7469, or online at Showplace Box Office or online at showplace.org. On Wednesday, November 28th and Thursday, November 29th at Market Hall Performing Arts Centre (140 Charlotte St, Peterborough), there will be performances at 12:30 p.m. and 7 p.m. on both days. Tickets can be purchased in person at the Market Hall box office, by phone at 705-749-1146, or online at markethall.org. There will be a post-show Q&A with the artists at the November 27th performance at Showplace, both performances on November 28th at the Market Hall, and the 12:30 p.m. performance at the Market Hall on November 29th, with a post-show reception at the Market Hall following the 7 p.m. performance on November 29th. On Monday, November 26th at 7:30 p.m. at the Market Hall, there will be a public talk featuring playwright Drew Hayden Taylor, wild rice harvester James Whetung, and Curve Lake elder and treaty expert Douglas Williams. Presented by Public Energy and the Pine Tree Lectures of Chanie Wenjack School for Indigenous Studies at Trent University, the free event will be moderated by Anne Taylor.